I just read this article and thought you might want to give it a read, too. It\'s called Make a wish! Traditions from around the world and you can find it here https://www.orbitz.com/blog/2013/04/make-a-wish-traditions-from-around-the-world/. Who hasn’t hoped for a genie to come and fulfill their every desire? At these three destinations where legend says wishes are granted, you may not get everything you want, but you will have an interesting trip. In Paris, lovers attach padlocks to the bridges overlooking the Seine and throw the keys into the water to symbolize their commitment to each other. The belief is that your relationship will last until the lock is opened, so be sure that’s what you wish for before you send the key to the bottom of the river! Be careful about which bridge you place your lock on: tradition says the Pont des Arts is for your spouse, while the Pont de l’Archevêché is for your lover. 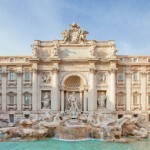 Those who love to travel would do especially well to visit the Trevi Fountain in Rome. Legend has it that throwing a coin into the fountain will guarantee that you’ll return to the Eternal City. Throwing in a second coin will not only get you a return trip to Rome, but also an exciting new romance. After tossing your coins in over your left shoulder, turn around and take in the beauty of the world’slargest and most famous Baroque fountain. 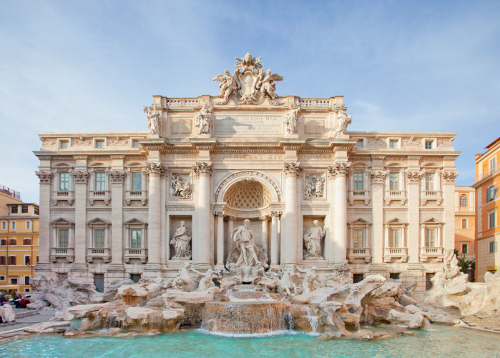 More than 3,000 Euros worth of coins are thrown into the fountain every day, making it one of the most popular and unintentionally profitable sites in Rome. If you haven’t thrown all of your change into the Trevi Fountain, you can take them to the Scottish Highlands, where those who wish for good fortune hammer a few pence into the local trees. This tradition dates back to the 1700s and even Queen Victoria wrote in her diary about visiting an oak tree with coins stuck in it. These trees are often found along remote walking paths because it’s said that if someone removes your coin, your fortunes will change for the worse. Wishing for an awesome vacation? Get started on Orbitz! Jamie Smith is a writer, traveler and lover of cities currently living in Austin, Texas. Follow her on Twitter at @shameonseamus.